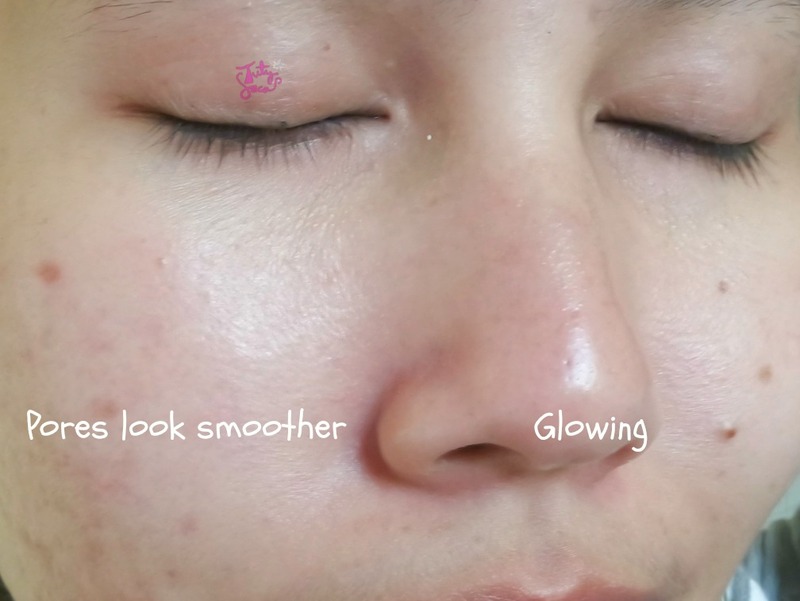 Who like to use micellar water to remove makeup ? I do. 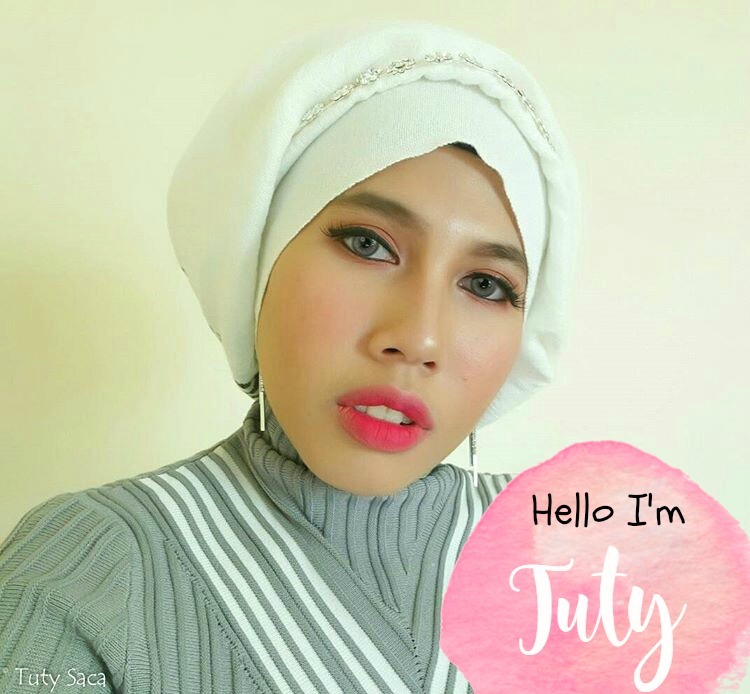 But i always wash my face again with facial wash to make it sure there is no residue at all and also I don’t like the greasy after using the micellar water. 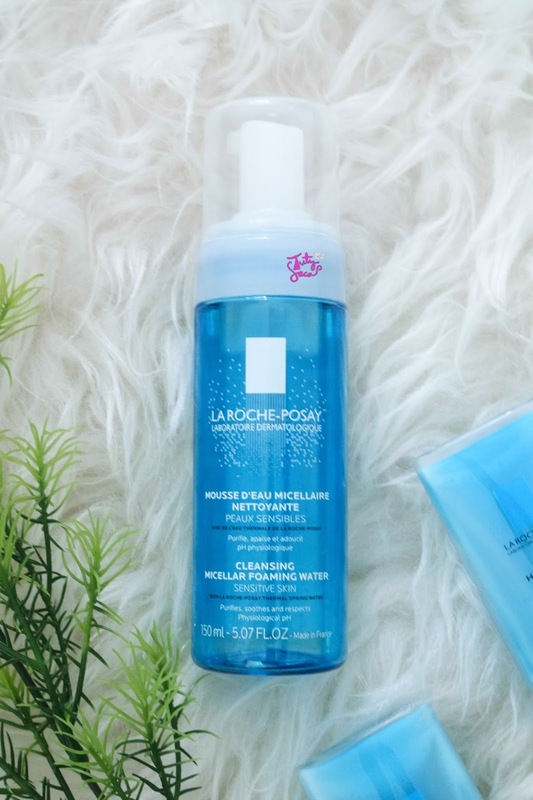 Then I saw this micellar water from La Roche Posay. I never heard micellar water foam before. I try it and love it so much. It’s the easiest & quickest way to remove makeup. Blue plastic bottle transparent with pump. I have the 150 ml size, at the web there’s travel size which is 50 ml but I can’t find it here. The pump is great, not too hard and not to easy. Also, there is a transparent cap to cover the pump. I prefer the cap instead the spin over lock pump. Sometimes it makes me confused and if I bring it traveling, the pump is easy to leak. With this cap the pump is secure. Physiological Ph. High cleansing efficacy and cleansing surfactants selected for an optimal tolerance. No soap. 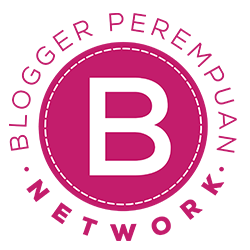 No colorants. No alcohol. No parabens. Suitable for sensitive skin. Actually the micellar water is same like other, no colour but it has a nice scent. 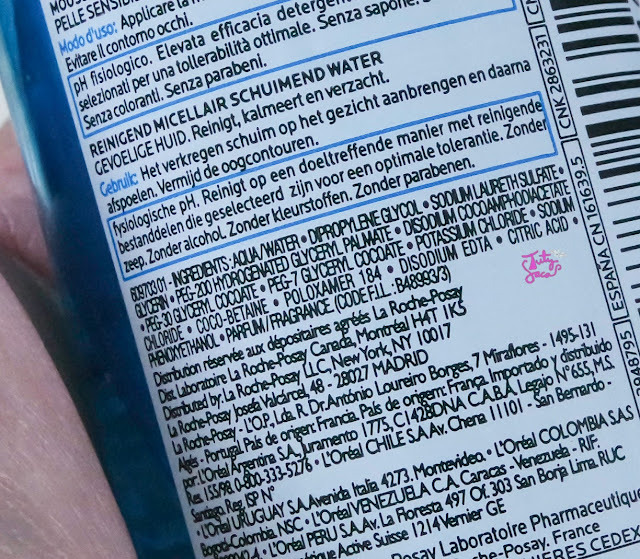 Well this micellar water contains fragrance. Don’t worry sensitive skin, the fragrance is not hurt my skin. Although in this micellar has SLS (Sodium Laureth Sulfate) which is can be harm your sensitive skin, but it is totally safe to my skin. Well as I said in my previous post, La Roche Posay is brand that dedicated to sensitive skin so I have no worry to use their brand. What I really love about this product ,the pump is where the magic happened. It changes water into foam. The foam is super soft. I have heard if you have sensitive skin, be gentle on your skin. 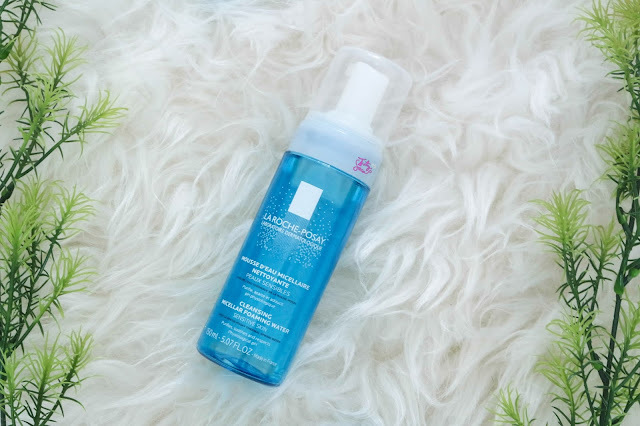 This micellar foaming water can remove makeup well with gently circular motion. You don’t need to extra rub your skin like if you use usual micellar water with cotton pad. I use it on my dry face. But make sure that your hand clean too, I always wash my hand with soap before wash my face. After that, dry up my hand and take 2 – 3 pump micellar foaming water. Gently massage then rinse. It says to avoid eye area but when I try to remove my eye makeup, nothing bad happened. So I still continue to use it to my eye area. But not everyone skin same like me, somebody maybe irritated if doing this. So please make it sure first. I never remove makeup as quick as this way. It takes only 1 minutes to remove all makeup on my whole face, eye and lips. When you gently massage your face with the foam, the makeup just melt on your skin. Amazing ! Then rinse with water. I suggest you to rinse it several times until its clean. Because there is a slippery feel,. Sometimes if I really lazy that night (last to rinse several times), I just wash my face again with usual facial wash. But actually just rinse with water is enough. After you pat dry your face with tissue or towel, you will feel amazing with your skin. Your skin super soft, I mean really super soft even like your pores gone 😋. Seriously the skin is so soft and smooth like ceramic hahaha. But it doesn’t make your skin dry at all.